While it has now been established that gamification can enhance the learning experience, many are still unsure how exactly it can be used to complement their existing learning strategies. This free eBook What Is Gamification And How Can It Enhance Corporate Training provides insights on just that. Back in 2010, gamification was identified as an emerging and a powerful strategy to boost learner engagement. It was expected to be the next big thing in corporate training. 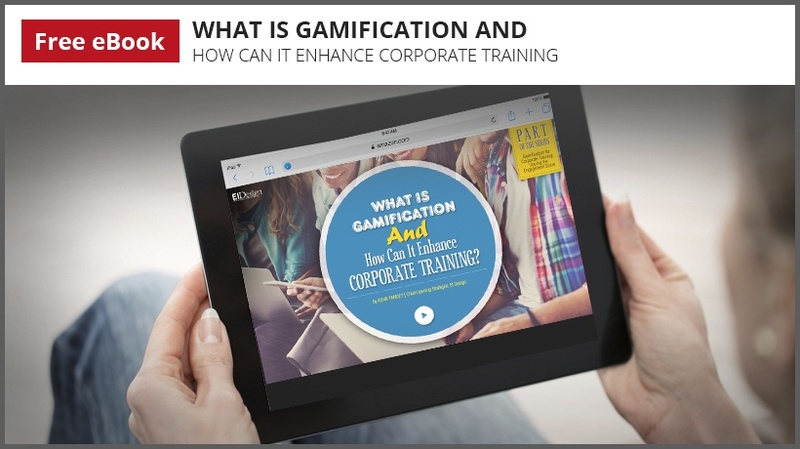 Discover real-world examples of how gamification can improve corporate training experiences. While the opinion on its impact (perceived and actual) continues to be divided, the concept has found takers with every passing year and by 2018, the global gamification market is expected to touch the $5 billion mark. Gamification does provide the flexibility and feasibility in terms of ways in which it can be incorporated in a learning strategy. Organizations can opt for complete gamification of a course for a high impact learning experience. They can go light on their budget with partial gamification to uplift a traditional eLearning course. Besides, we help our customers with needs analysis to help them decide which of their training needs will create a better impact with gamification. We also help our customers with integrating trending approaches such as microlearning and social learning with gamification to double the learning impact. This eBook uses practical insights from our gamification experience over last 4 years. 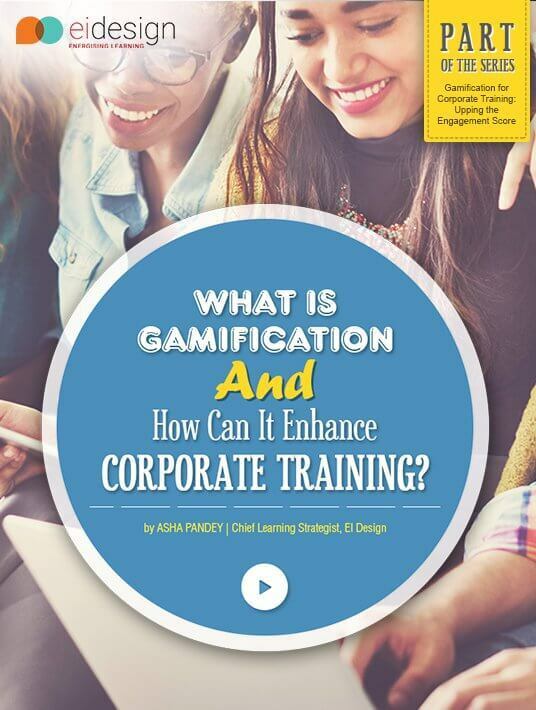 How Will This eBook Help You Understand The Key Aspects Of Gamification For Corporate Training? Through this free eBook, What Is Gamification And How Can It Enhance Corporate Training (one of the series of eBooks on Gamification for Corporate Training), I outline how you can use gamification to enhance or uplift your corporate training. Dipping into our practical experience over the last few years, I share insights on various aspects of gamification ranging from its definition, its benefits, and how exactly you can apply it for your varied training requirements. 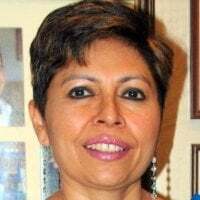 My next eBook Why You Should Adopt Gamification For Corporate Training will address how gamification is poised to impact corporate training and why it makes business sense to adopt it. What is gamification and what benefits does it offer for corporate training? Does it truly help learners and can it demonstrate a clear gain for business? Can gamification be used in your organization for varied training needs? Do download this free eBook What Is Gamification And How Can It Enhance Corporate Training and use these cues to integrate gamification to enhance your learning strategy. The eBook What Is Gamification And How Can It Enhance Corporate Training is part of a series designed to help Learning and Development professionals understand the new and trending aspects that can enrich their training delivery. It is designed to give them pointers that can be used practically to enhance the existing learning strategy.